Women Krav Maga techniques were developed by IKMF due to growing demand as part of Krav Maga self-defense solutions created for the various civilian sectors. Women self-defense qualifications enable women of all ages to learn, in a relative short period, central self-defense techniques specifically designated to provide them with defense tools while attacked. IKMF offers several women Krav Maga qualifications; A 3 to 4 hours seminar, Three day workshop and a five day women's instructor course aimed for certified IKMF civil instructors. Women Krav Maga methods deal with situations from a woman's daily routine, point out scenarios where threat may appear and teaches, systematically, how to maintain your calm defend yourself counter attack and eliminate danger. Women self defense Krav Maga sector logically concentrates on sexual assault scenarios, as they are the central threat for women. 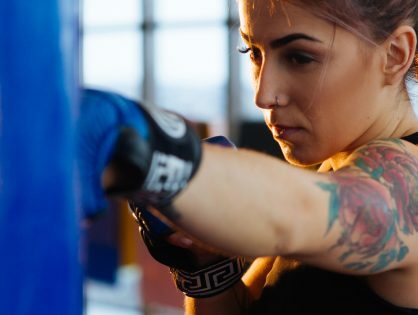 As this issue is highly disturbing and sometimes difficult to discuss women self defense techniques involve substantial emotional training to insure women they are posses the ability to defend themselves, foster self confidence and also necessary aggressiveness. Defenses have been modified to accommodate women's physiques and state of mind. Additional issues included in women self defense have to do with home invasion, third side protection (protecting your children) and using common objects (keys, handbag etc.) to block the assailant and counterattack. In addition to women self defense classes offered in any IKMF international branch by certified IKMF instructors, IKMF has also produced an exclusive women self defense DVD. The DVD is firstly a valuable learning tool for Women allowing them to see what women self-defense is about and learn basic women self defense techniques. Secondly, the DVD is a teaching auxiliary tool for certified IKMF women instructors. For direct online purchase please go to our online shop Women self-defense techniques will literally save your life. ‘Stay Away’ is a self-defense program developed by the IKMF designed specifically from a woman’s physical and psychological standpoint. Since 1997, over 30,000 women around the world have attended these seminars with incredible success. Since its inception, this program has evolved, but the core has remained constant. This program tackles the issues of differences between the attacker and the woman; it focuses on women’s size, strength, and mental condition while under attack. The 'Stay Away' program offers a number of different options. Most women value their financial security and tend to put the family first. There is no greater gift a woman can give to herself and her family than the gift of safety! Additional issues included in women self-defense have to do with home invasion, third side protection (protecting your children), and using common objects (keys, handbag etc.) to block the assailant and counterattack. In addition to women self defense classes offered in any IKMF international branch by certified IKMF instructors, IKMF has also produced an exclusive women self defense DVD. The DVD is a valuable learning tool for women, allowing them to see what women’s self defense is about and to learn basic women’s self-defense techniques.